Boy leaning against locker with books. Spanish. Bent edges. C= uncut. E"l mismo comportamiento sexual que te puede infectar con gonorrea ... Pero si continúas con el mismo comportamiento sexual y sin protección, podrías contraer algo que no tiene cura. El sida." Order number: P152 (Spanish). CDC National AIDS Clearinghouse, Catalog of HIV and AIDS education and prevention materials September 1994, p. 21. 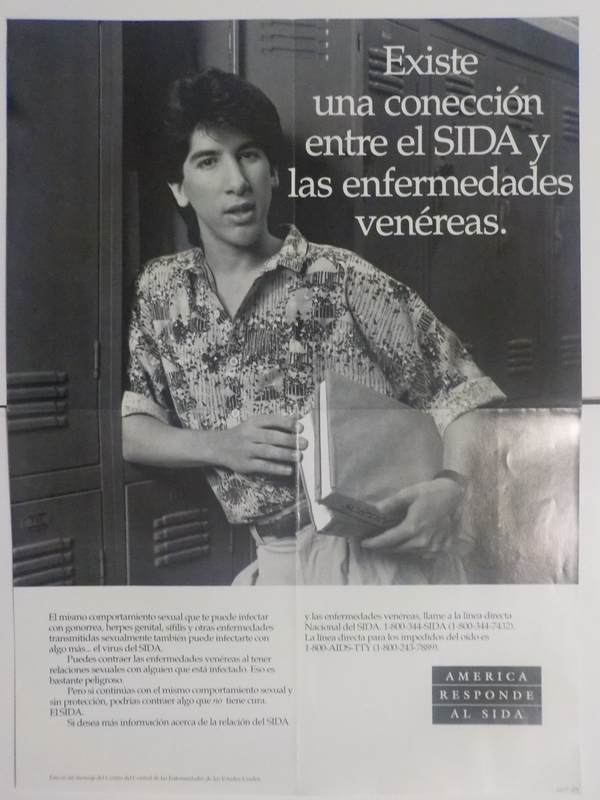 This poster depicts a teenage male at his school locker and warns that the same sexual behavior that transmits sexually transmitted diseases can also transmit the AIDS virus.